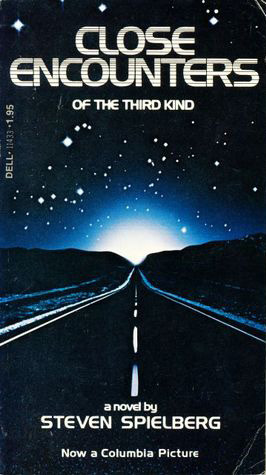 Close Encounters of the Third Kind, yes, that classic Steven Spielberg movie, I didn’t realise was also a book. Not sure which came first but either way I throughly enjoyed diving into the film in my brain and reliving a masterpiece of a story all over again. If you’re unaware of the plot this cracking sci-fi story has to offer; it’s about aliens. Weird sightings and odd happenings occur, mostly, across America, where it’s set. We’re introduced to a bunch of different people, from professional alien researchers, to normal ordinary Americans, on their quest to find out what is happening and who they are. I know, that’s a very vague explanation but for good reason as I don’t want to give too much away, and urge you to either read or watch it. The book is completely accurate to the plot of the film which makes me believe it was published after, or Mr Spielberg stuck very closely to his vision. It was nothing more, nothing less, just a fantastic story, written in such a way that you could imagine it on screen, obviously. I haven’t seen the movie in a long time, I could only remember snippets of it when I started reading the novel, but having the actors I knew playing the characters in my head helped, surprisingly. In that way it was easy to envisage, the reader delved straight into it, no hesitation. The only thing that makes me believe the book came before the big screen was how little the characters were described, open to multiple different actors, and how Spielberg would have had to have written the plot out in great detail anyway. Whether you’ve seen the film or not, I highly recommend finding a copy in a second hand book shop, or your gran’s attic. As a sci-fi lover myself, I couldn’t put it down. Just a fantastic classic plot, which I can’t find fault in. Nothing leaves you worrying like a Fever Dream! A Man Booker Shortlister totally deserving of it’s praise. A few years ago my mother told me that she used to enjoy getting all the books shortlisted for the Man Booker prize as gifts. I liked the idea of reading them all, so had, in the back of my head, that I should do just that the next opportunity I get. Then arrives NetGalley offering the 2017 International shortlist for review – fab! Samantha Schweblin’s Fever Dream was presented with a snippet attached of the first handful of pages. I was hooked only paragraphs in and had to get my hands on it as soon as possible. Set in, and surrounding, a mirage like town in rural Argentina, the whole book is simply a conversation between Amanda and David as they try to figure out the seemingly innocent events of the days before. What led up to her being in a hospital bed, without her daughter, being asked questions by a young boy she had been told was dangerous? 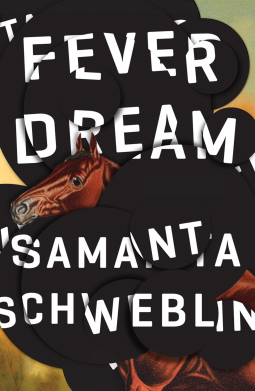 Confusing and surreal, with a tinge of superstition, almost verging on paranormal, Schweblin increases the tension with each paragraph. With no chapters and no breaks, you won’t leave the pages, left in constant worry that you can’t see what’s wrong either, that you’ve missed the crucial detail too, the ‘most important thing’. It’s a short novel, so I don’t want to explain too much and give away the plot. I only recommend you read it. It’s worrying, thought provoking, an eye opener into how aware we actually are. How much can we save our loved ones from when we can’t see the problem? 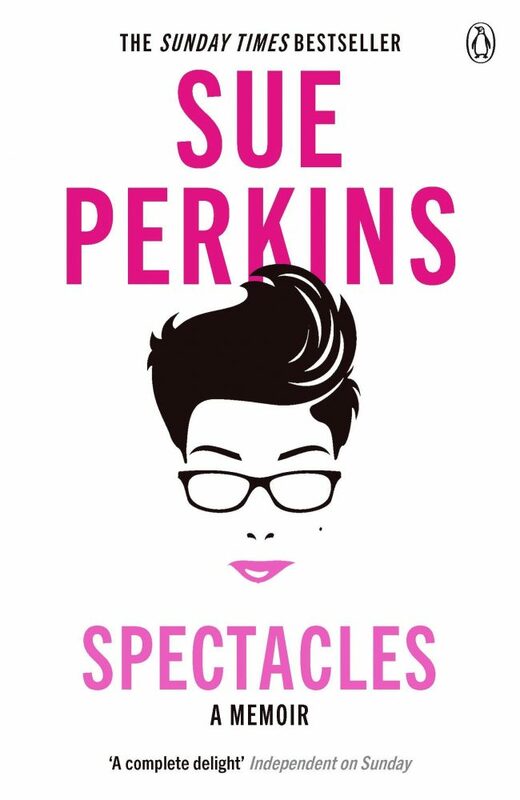 I read Spectacles; Can I be Sue Perkins’ friend, please? She seems like a good egg. I was in Waterstones, naturally wanting to buy books. Pristinely white, almost glowing was Sue Perkins Spectacles, beautiful perched on the buy one get one half price table. Upon reading the blurb, which I try not to judge the book on (I do – as I also do the cover, yes, awful), it pleased me greatly that it wasn’t a hyperboled summary of Perkins life. Instead an extract, a mini intro and in no way exaggerated or made to be extra funny. A perfect start to a consistently brilliant book. Haven’t read many biographies. Actually, thinking about it, I don’t think I’d read any. Not because I don’t like them, I just hadn’t found someone I was interested enough in, or that seemed to have an interesting enough life to read about. Am I shallow and judgemental? Yes, apparently so. Sue me, ‘scuse the pun. I’d stumbled upon Ms Perkins, pre-my bake off viewing, on the final episode of a show with Liza Tarbuck where they’d road tripped across somewhere hot and smelly. Instantly likeable, I was chuffed to discover both Mel and Sue on bake off, and Tarbuck’s Beeb Radio 2 show. Joyed me even more that they were all actually funny, it wasn’t just a fluke. Spectacles was no exception. In which only the best comedic writers can, Perkins had me crying multiple times, guffawing out loud then bursting into a fit of laughter, before crying again. It’s incredibly honest, detailed and personal, but not enough that you’re learning irrelevant information or feel as if you’re prying. She doesn’t over-share. Just the right amount of hilarious tangents and asides, as well as the mocking of her own flaws, the go-to for comedians. However these flaws weren’t necessarily funny just painfully true. Something very heart wrenching about it that I felt I connected a lot more with her. She isn’t perfect, as no one is, but I wanted to thank her for showing that. A very interesting person who has led a interesting life, seems I found my ideal. Written like she’s your intelligent best mate relaying these stories to you in a cosy pub; I now genuinely would like to be her friend. For someone who hasn’t read biographies before, Spectacles has definitely converted me. My only worry is that I may not find another equally fantastic memoir to read. I doubt there’ll be another celebrity one nearly as enjoyable, let alone beautifully written. Highly recommend. 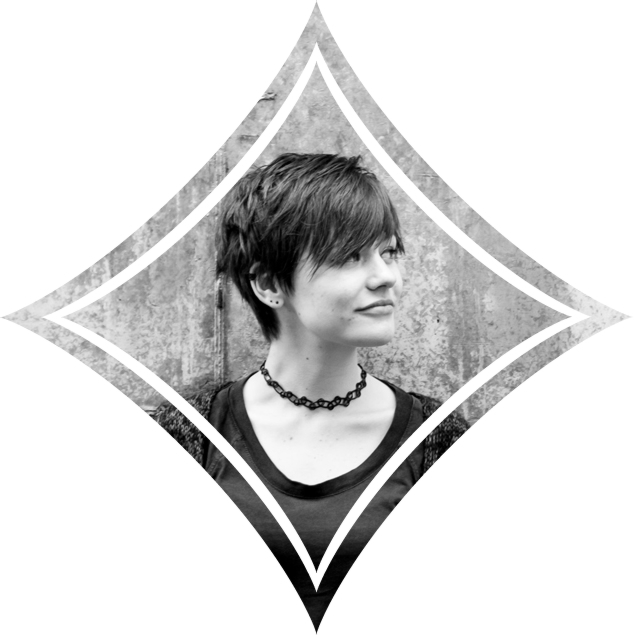 Holding Up The Universe – another misfit teenagers love story? 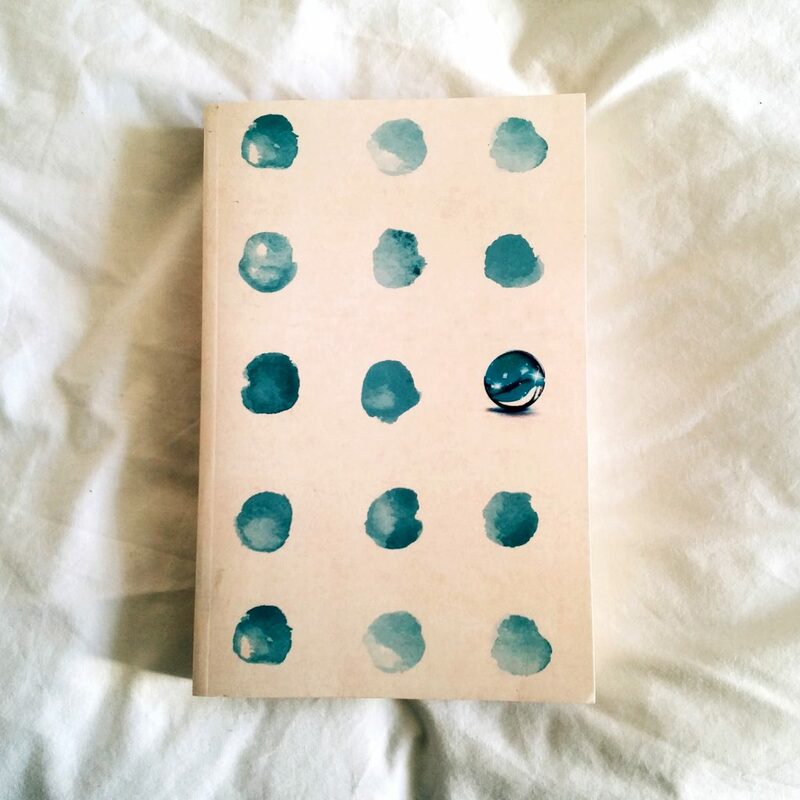 I was aware of the success of All The Bright Places, but having not read any Jennifer Niven before this, I had no expectations. Purposely didn’t read many reviews; just decided to start and see where Holding Up The Universe would take me. Libby and Jack are both coping with different mental health issues. A few years ago Libby’s mother passed away. In the immense grief Libby turned to food and began over eating to an extremely unhealthy level meaning she had to be craned out of her own house. Much to the delight of the school bullies when she returns, still labelled as America’s Fattest Teen (though lost a lot of weight), it’s no surprise she suffers from anxiety attacks, who wouldn’t? But how she deals with school life, self confidence, and being true to herself is definitely something to admire. 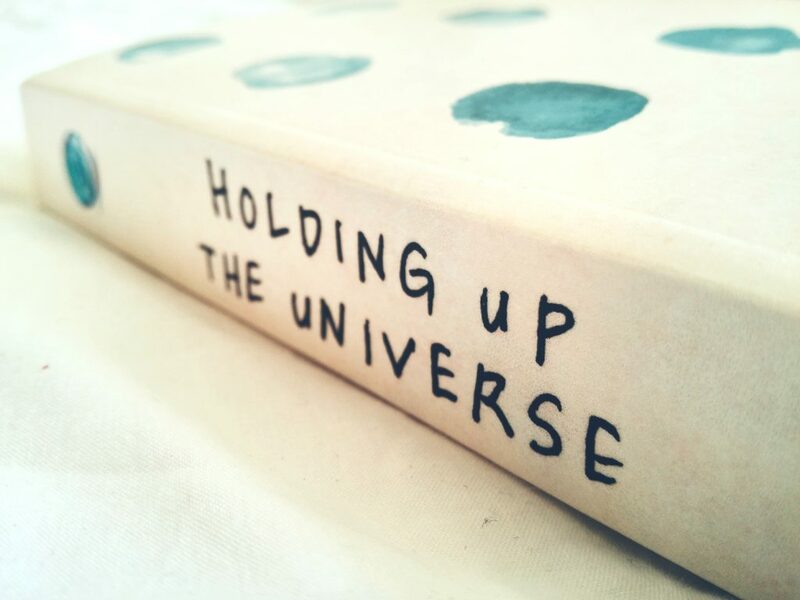 Young Adult novels need more main female characters who don’t need to be rescued, which was beautifully and ironically shown in Holding Up The Universe. Jack, on the other hand, is much more insecure than he lets on. With a condition called Prosopagnosia (the inability to recognise faces) he’s constantly battling to identify his classmates, his girlfriend, even his family, but he hasn’t told anyone. Still managing to have a bucket full of swag, he just about gets away with it, until he doesn’t. He makes some awful decisions to keep up appearances but doesn’t even recognise himself, metaphorically and literally. It was fascinating and heart breaking to be inside Jack’s head. It’s evident that Niven has researched a lot about Prosopagnosia and I feel executed it well. If anything shining a light on the condition that 2% of the population, millions of people, are dealing with every day. Something I usually get annoyed with when reading romance is the stereotypical love at first sight. Or one character is already head over heels, with the reader waiting to see if the one they’re swooning over likes them back. Especially young adult books, it’s all so pathetically teenager-y and mostly lust driven- that kind of love really doesn’t interest me. However, in this, Jack and Libby grew with each other, which felt more realistic than other YA books I’ve read. Pairing both of what Jack and Libby are dealing with with the usual stereotypical acceptance issues of school life, it was cringey but also heart warming to watch them develop, as people, as friends. Love didn’t come until later and that felt realistic. Plus it wasn’t clean cut “I like you” “ditto” done, it was messy, involved other people and was confusing; like far too many school relationships are. Mind you, there was still a ‘together forever’ attitude, as if that’s it; they’ll get married, they fit so perfectly nothing could go wrong, which I wasn’t so keen on. But I did like how they didn’t complete each other, they found their own happiness themselves. They’re road to self discovery, confidence and self acceptance was helped with the support of one another but it wasn’t because they were with each other that it developed. They didn’t rely on it. It meant that they could have just been really good friends and still would’ve grown as much as they did. Niven was under scrutiny for portraying characters, especially Libby, that seemed a bit far fetched and possibly offensive. 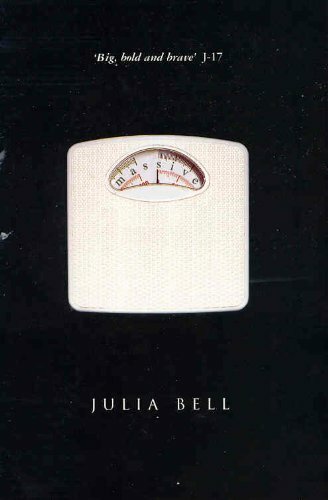 Although I neither suffer with Prosopagnosia or have ever been overweight, so may not be deemed the best judge of this, I felt the characters were true to life. There are people that do deal with both of these issues, just because they are a smaller percentage of the population doesn’t mean they can’t be represented in novels. I think it brave of Niven to write about them and personally think she did a wonderful job. Ultimately Holding Up The Universe is about who you are inside, and staying true to that person, and any story that has that message is good in my book. Treated myself to some books over the past couple of weeks…twenty-three of them.